Spring is a season of change, and thus the perfect time to inspire change in ourselves! 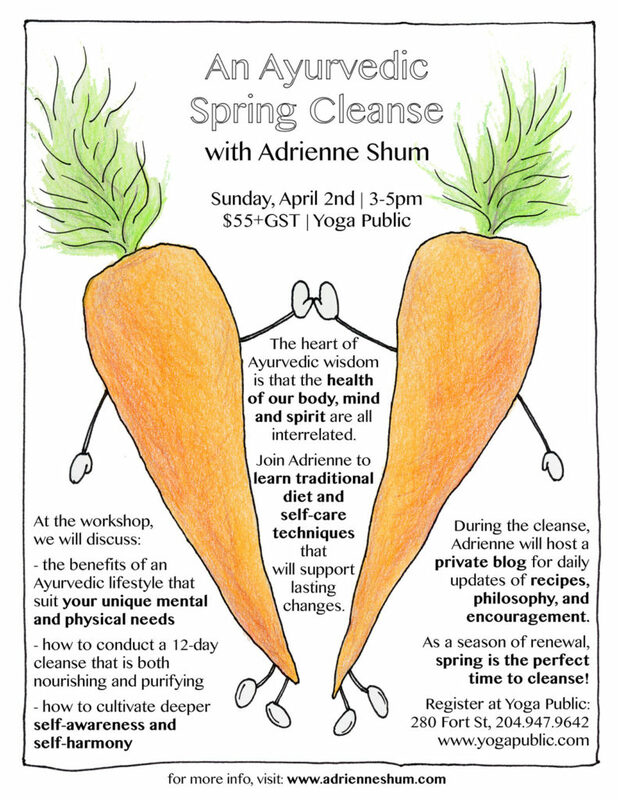 Join me for an Ayurvedic Spring Cleanse at Yoga Public on Sunday, April 2nd (3-5 pm, $55+GST). Learn traditional diet and self-care techniques that help support lasting changes for your unique body-mind composition. As always, I will host a private blog for cleansers to access daily recipes, philosophy and support. 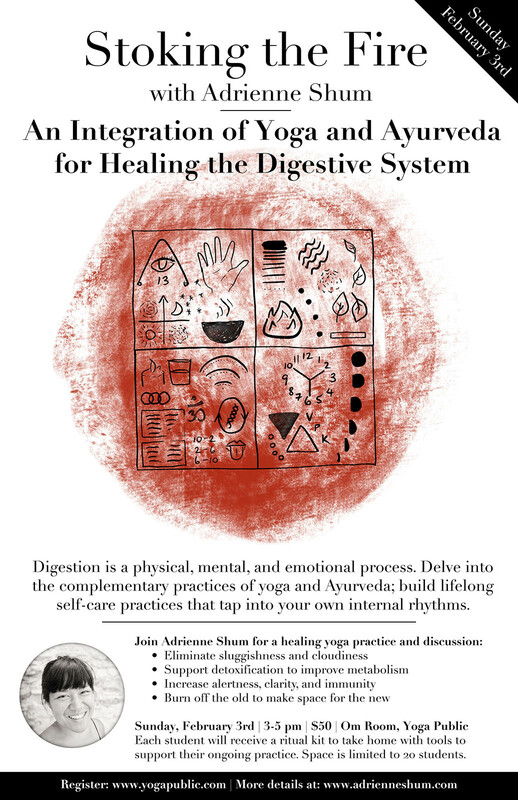 Join me for this transformative practice and invest in your health!